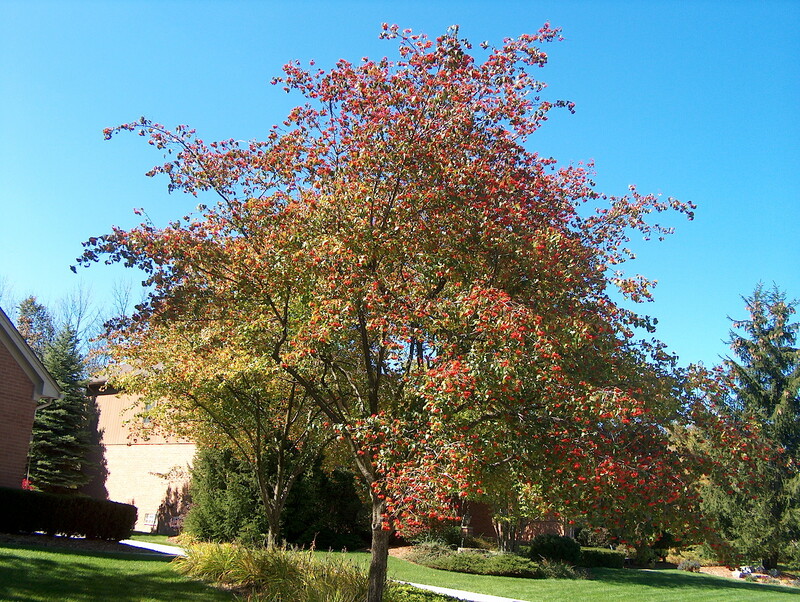 Comments: An easy to grow small tree that has attractive flowers, fruit and autumn color. It has rather long thorns that can be a danger to the unaware. Has same disease problems as does apples. Especially well adapted to the upper South. Produces a sensational display of autumn fruit. Blooms relatively late for a spring flowering tree, usually in late spring.